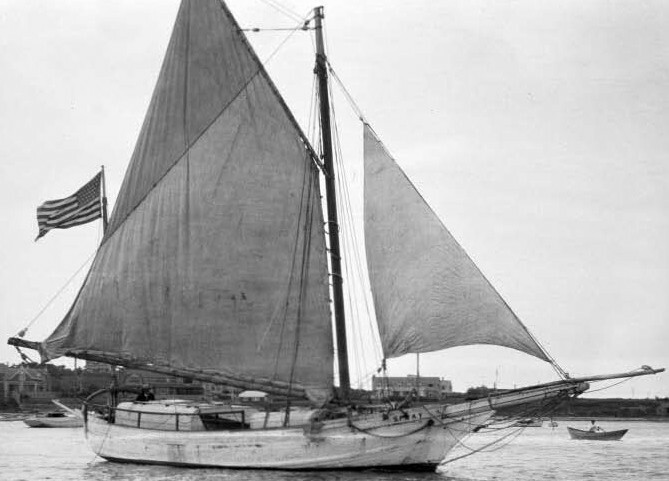 It was 100 years ago this spring that Joshua Slocum departed Boston Harbor on the first single-handed voyage around the world. What made this feat even more amazing was Slocum’s boat: the 37’ oyster dragger was rumored to have been over 100 years old when it was given to him in 1892. She lay rotting in a field when Slocum began a restoration that took two years of hard work. He also modified her original design, making her more seaworthy and easy to sail single-handedly. He named the boat SPRAY. Slocum had been a professional sailor all his life. Fundamental to his success was his skill in identifying a seaworthy craft, then remodeling and restoring her for his voyage. He was short on cash, and his dream would not have been possible had his only option been the more expensive route of commissioning a new boat. We are happy to report that Slocum’s successful rebuild approach is alive and well in 1995. For 25 years Gougeon Brother’s people have been involved with wooden and fiberglass boat restoration and repair. As the fleet ages, older fiberglass boats are beginning to dominate this restoration movement. In this issue, Drying DOVE’s Feathers by Ginny Kienast, gives a keen insight into the details of a modern restoration project. Ginny and her husband Richard have been working diligently to make their dream of retiring to the cruising life a reality. All of us at Gougeon Brothers feel good about our involvement and support for DOVE’s restoration and the many other projects like this one. Slocum may have been the first to begin serious boat recycling, but the tradition continues today. It is unusual to see old boats put to the scrap heap. One rarely sees a boat junk yard in the typical sense of a car junk yard. This recycling movement is beneficial in many ways. Most importantly, it helps many folks afford boats that would be out of their price range if they had to purchase them new. With modern epoxy composite technology, older boats can be extensively modified at a relatively low cost. Our economy, environment, and quality of life all benefit as we keep boats out of our landfills and on our waterways. Gougeon Brothers is happy to be involved in this recycling movement. We will continue to use our resources to provide our many customers with the best products and information to support their efforts in the restoration movement.